3rd floor bath - found a hidden (dead) outlet behind the wall. Joist was notched 75% for drain pipe. 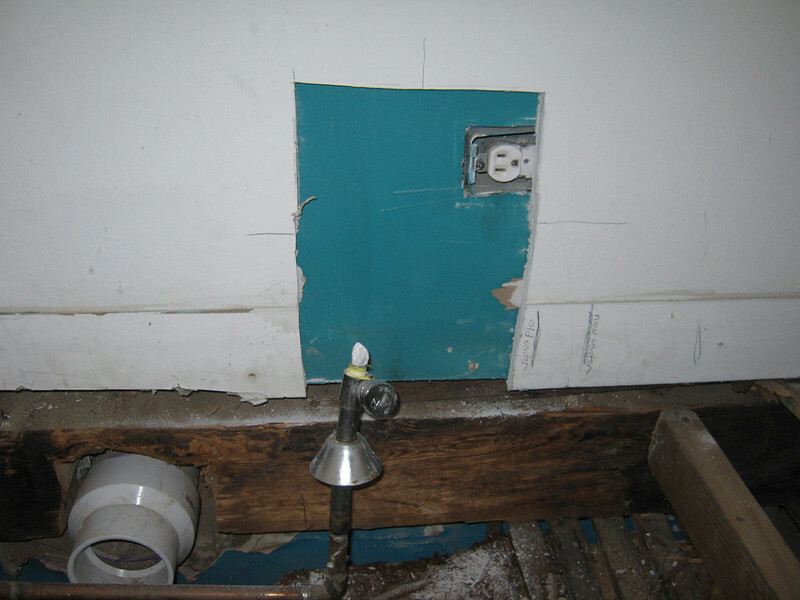 2x3 on the right was used as a joist header to box in a cut joist.